Since the patenting of the first electric razor in 1928 by the retired colonel Jacob Shick, today’s electric shavers have come a long way. Modern shavers are designed to provide a comfortable, effortless and smooth shaving experience while minimizing the disadvantages of traditional wet shaving. Their portability, fuss free operation and minimal prep and maintenance work are some of the things that constantly make more men switch to electric shaving. Unlike traditional wet shaving, where an exposed blade is used to cut the hairs below skin level, electric razors use cutters that oscillate or rotate behind a protective perforated screen. Almost all modern electric shavers feature cordless operation and lots of them can be used for both dry and wet shaving. It’s also common for the more advanced razors to be offered with a cleaning & charging base that uses a detergent or alcohol based solution to clean and sanitize the razor after every use. If you would like to read more about the history of electric shavers, definitely check out my article about the most popular electric shaver brands. Please note that this is a comprehensive 5000+ words electric shaving guide, so take a nice cup of coffee or other favorite beverage, make yourself comfortable and enjoy. 3. Electric shavers can shave extremely close. 4. Electric shavers are cost effective. 5. Electric shavers have a less steep learning curve. 1. Electric razors don’t shave as close as a blade. 2. An electric shaver implies a high initial investment. 3. It takes time for your skin to adapt to the new method of shaving. 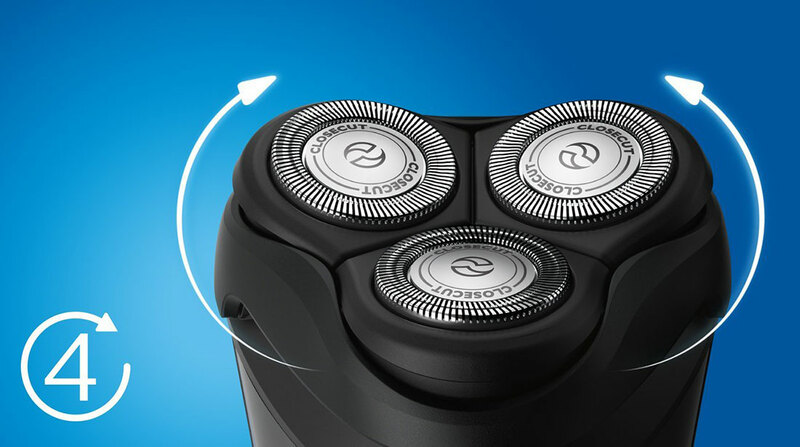 As with all things in life, not everything is perfect and electric razors are not an exception. But let’s first see what are the main benefits of switching to electric shaving. This is, in my opinion, the single, most compelling reason to use an electric shaver. By preventing the blades from actually coming into contact with the skin, the risk of nicks, cuts, irritation and razor burn is reduced to a minimum. It’s easy to see why men with sensitive or blemish prone skin will benefit most from using an electric razor. They’re fast, easy to use and practical. Traditional wet shaving implies thorough preparation: soaking your brush, building the lather, washing your face with warm water, lathering. Then there’s the actual shaving, with lots of short strokes, constantly rinsing your razor, first pass with the grain, second across and an optional third against the grain. Then there’s the washing and cleaning of your brush, bowl, razor and blade. All of these steps require quite a lot of time. 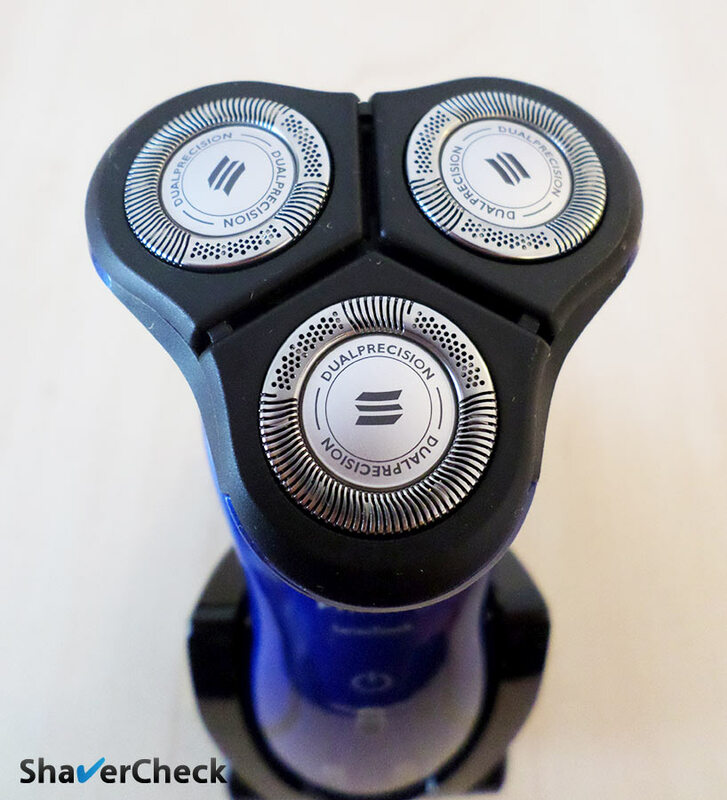 With electric shaving, you simply pick up your razor, shave and toss it into the cleaning station to have it fully charged and sanitized for your next shave. There are of course some preparations that I highly recommend and we’ll address those in detail later on, but the time it takes to perform them is nevertheless greatly reduced. With the right shaver for your beard type and a few simple adjustments, you can get very close shave. Modern electric razors have made an impressive progress with regards to the closeness while still providing excellent comfort. Apart from a high initial investment, an electric razor will last for many years if given proper care and will require new parts only once every 12 to 18 months. Compared to traditional wet shaving, particularly in the case of using multi-blade cartridges, electric shaving is more cost effective. Again, compared to a double edge or even a cartridge razor. Mastering lather, pressure, grip and angle takes some getting used to; on the other hand, using an electric razor for the first time is usually much simpler and it takes less time to improve your technique. Electric shavers are also more forgiving since the blades are not actually touching the skin. But it’s not all nice and dandy. Therefore, I’ll try my best to also present all the negative aspects of electric razors in an unbiased and objective manner. Some do manage to get really close, but the perforated foil that prevents the blades from touching the skin also acts as a physical barrier that limits the closeness of the shave. Various workarounds, like the use of a double set of blades in which the first one raises the hair to be cut below skin level only work to a certain degree. When choosing an electric razor over a classic blade you’re also making a compromise by trading off some of the closeness for the added benefit of comfort and practicality. And that’s not a bad deal at all in my opinion. While there are quite a few capable and affordable electric razors out there, some of the more advanced ones can cost in excess of $300. Replacement parts and the optional cleaning cartridges can also increase the running costs. The first few weeks of using an electric shaver can be far from an enjoyable experience. Even if your technique is spot on, things can still (and most likely will) not be as smooth as expected. Some irritation and discomfort during and after the shave are common for someone switching to electric shaving. And unfortunately there are cases when men simply give up electric shaving altogether because of a few unpleasant first shaves. And it really is a shame, as the vast majority will notice a significant improvement after a few weeks. All the cool sounding technologies, like pulsations, hair density sensors and different speed settings — are very often just marketing gimmicks with little to no real effect. Having used and reviewed quite a few razors from different price categories, I can honestly say the things that matter most and really make a difference in terms of shaving performance are the power of the motor and the quality of the blades and foil assembly. 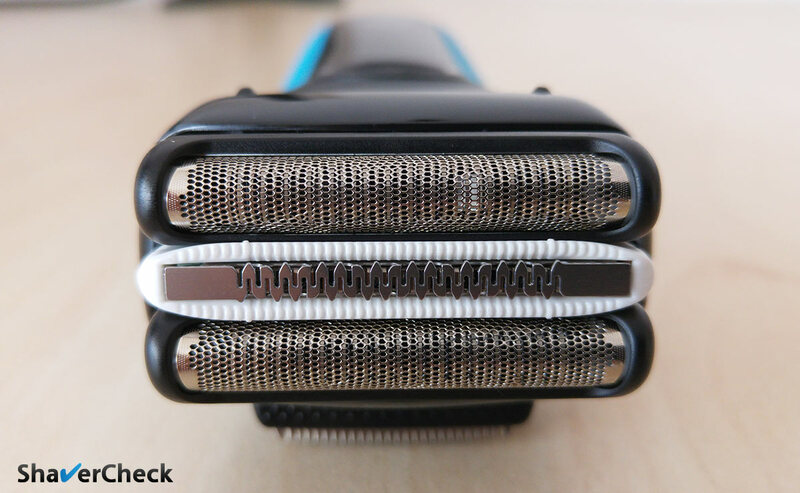 The battle between foil and rotary razors in terms of performance, practicality and comfort is complex and relies almost entirely on anecdotes and personal bias. I honestly believe that choosing between a rotary or a foil shaver ultimately comes down to how one or the other feels subjectively better. The only way to properly find out which one would suit you better is to actually try them both. I personally prefer foil shavers; I consistently get better results using them, especially in terms of closeness and I feel they offer greater control compared to rotary shavers. But that’s just my personal experience and there are other men who swear by the effectiveness of rotary shavers. To each his own. Having said that, here are a few broad guidelines to help you decide between a rotary or a foil shaver. Please keep in mind that these are only general considerations that don’t always provide the best option. While not as polarizing as a traditional vs electric shaving discussion, the use of shaving cream with electric razors still raises eyebrows. And I can totally understand why. 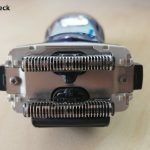 After all, getting rid of all the fuss associated with shaving creams and prep work is one of the main reasons for switching to electric shaving. But sometimes a dry shave just isn’t enough; if your technique is on point, you’re using the right electric razor for the job and the results are still not satisfactory, then it’s a good idea to give wet shaving a try. In my experience, men with sensitive or very coarse beards are the ones that will benefit the most from using shaving cream with their electric razors. Speaking of which, stay away from canned gels and foams. They are nasty. Go for a quality, glycerin based shaving cream instead. They do require more work as you’ll have to build the lather yourself, but believe me, it is worth it. There’s simply no comparison between the two. There are lots of great products to choose from, offering great performance for the price. There are also downsides to suing shaving creams; there’s more prep work and cleaning to be done and your costs will increase (but not by much — you can find excellent shaving creams and brushes at very affordable prices). But exchanging some of the convenience of electric shaving for additional comfort and closeness is a good deal in my opinion. There are of course cases when wet shaving simply doesn’t do much in terms of improving your shaving experience. If you’re already getting good results with dry shaving, then by all means carry on. It’s very appealing to be able to just shave and be done with it. To summarize: if your razor is suitable for wet/dry operation, try it with a shaving cream. If the improvements are marginally or absent, then continue using it dry. 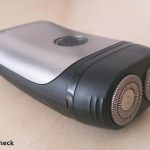 Electric Pre Shave Products: should you use one? In this section I would like to address one of the main fears that keeps some men away from electric razors and that is the closeness of the shave. As I said previously, one of the cons of having a physical barrier between the blades and the skin is this limitation that electric razors have, caused by the very way they operate. Here’s my take on it: with the right razor and a few simple adjustments, electric shavers can get very close to a blade and most men will be perfectly satisfied with the results. I mentioned in the previous section that developing an effective pre-shave routine is one of the most important things you can do for a close shave. I will add comfort to that as well. A pre electric shave routine is about getting the basics right and it’s as important as the actual shave. Hearing the term pre-shave invariably makes you think about traditional wet shaving, where prep work was an integral part. While it doesn’t necessarily imply the same time consuming actions, some prep work is still hugely important for electric shaving as well. Depending on your preference for wet or dry shaving, a pre electric shave routine should be structured accordingly. Eliminate any form of moisture. Make sure your skin and razor are as dry as possible as moisture can negatively impact the quality of your shave. It’s therefore a good idea to shave in the morning before washing your face or taking a shower. Use an electric pre-shave lotion or powder. They are designed to absorb and eliminate moisture and skin oils, create a layer of lubrication and make the hairs stand straight. Charge and lubricate your razor. 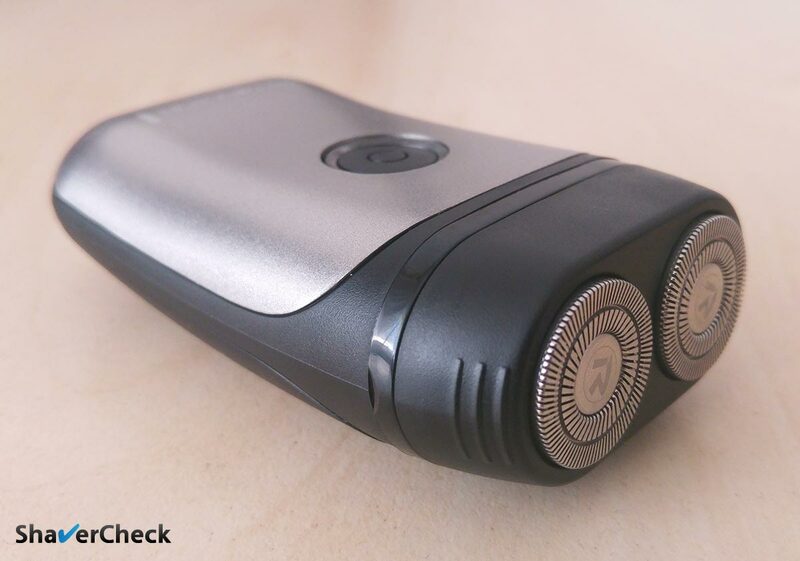 The vast majority of modern shavers operate cordless; when the battery is almost out of juice, most razors can’t maintain peak power and tend to pull on the hairs. The closeness will suffer and you’ll be tempted to apply more pressure and do unnecessary passes trying to compensate this, resulting in irritation and discomfort. It’s a trivial and often overlooked aspect. Also, at least twice a week you should lubricate your razor. Two drops of fine machine oil on the blades and foil should suffice. 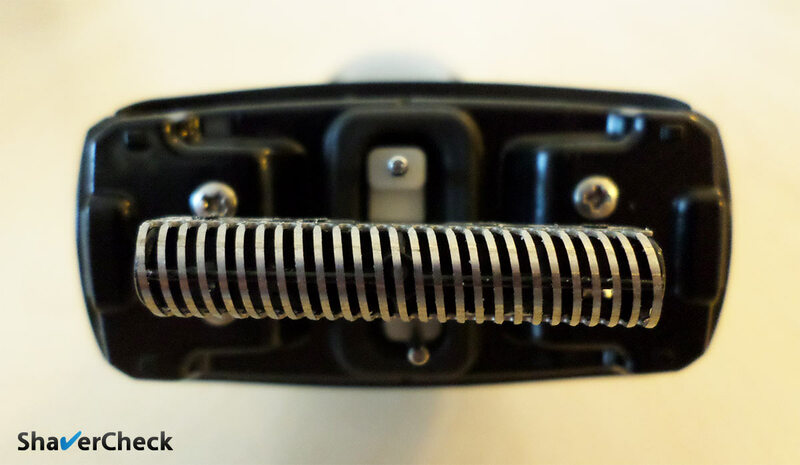 Cleaning the razor strips the moving parts of any form of lubrication, causing premature wear and heating during use. Heat is your enemy when it comes to electric shaving. If however your razor has a cleaning station, this step won’t be necessary as the razor is automatically charged and lubricated after a cleaning cycle. Trim your beard beforehand if you haven’t shaved in a long time. All electric shavers will have some trouble with very long hairs; it’s best to just use a face trimmer and reduce them to a more manageable length before using your electric shaver. Bonus tip (applies to wet shaving too): always start with the most difficult parts of your face. For the majority that would be the neck. It’s a good idea to tackle it first as it requires more work, attention and passes; your razor will also get hot as you use it, so starting off with the most sensitive parts makes sense. Use plenty of hot water. Everything you know about prepping for traditional wet shaving applies here as well. Wash your face with a mild face cleanse and hot water. You should also exfoliate your skin at least twice a week since you’re not using a blade anymore. A hot shower beforehand is also a good idea as the steam will begin to soften the hairs. A shaving cream is also a pre-shave, so give it time to act. The alkaline components of a quality shaving cream (Potassium Hydroxide or Sodium Hydroxide) along with hot water act on the tough outer layer of the hair (the cuticle), causing it to absorb water and swell, making it easier for the razor to cut it. After applying the lather don’t start your shave right away; instead, leave it on for a few minutes. For example, during this time I usually lubricate my shaver and clean my shaving mug and brush. Use lather sparingly. A layer just thick enough to cover the hairs will suffice. Applying too much will affect the closeness of the shave. Clean, charge and lubricate your razor. This one is again pretty self-explanatory, but pretty important; if you manually clean your razor with water and soap lubrication is mandatory before every use. The key to a comfortable and close shave is to have the right tool and to use it the right way. Some electric razors are simply more suitable than others for a particular situation. The things you definitely have to consider when choosing an electric razor are your beard type, susceptibility to irritation and shaving habits. Let’s address each of them. Apart from the aspects that would make you opt for a rotary or foil shaver (discussed in a previous section), your beard type should also be considered. Coarse, tough and thick stubble require a more powerful and advanced razor, while for medium and light beards a more basic shaver should be good enough. There are a few indicators to help you determine your beard type. If these sound familiar then you most likely have thick facial hair. A suitable electric razor should have plenty of power, sharp blades and quality foils. Wet & dry operation is also plus. A few good examples are the Braun Series 7 799cc or the Panasonic ES-LV61-A Arc5. 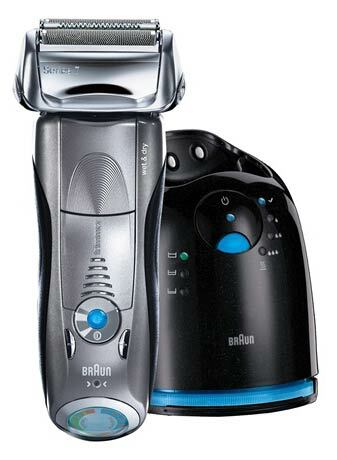 If budget is not a problem, then probably the most capable electric razor you can buy at this moment is the Braun Series 9 9095cc. For more details and recommended shavers, I highly recommend reading my article on the topic of coarse hair and electric razors. Men with medium facial hair can get very good results with less advanced razors. Panasonic Arc IV, Braun Series 5 or Philips Norelco 6100 are a few very good options. Most men with light facial hair can find plenty suitable shavers in the less than $100 price category. Panasonic Arc 3 and Braun Series 3 are among the most popular ones. In terms of absolute value for money, it’s hard to beat Philips Norelco’s entry level rotary razors like the 2100 or the 4100. Another special case is sensitive skin. Many men that turn to electric shaving suffer from sensitive skin and require a suitable electric shaver. I am unfortunately one of them and find the combo of foil shavers and shaving cream to yield the best results. Braun Series 7 799cc (wet & dry) or 790cc (dry only) are notorious for being sensitive skin friendly without compromising the closeness of the shave. Another personal favorite of mine is the Panasonic Arc Es-LA63-S IV, an excellent and capable razor that offers top performance and comfort at a very affordable price. You can read more information and recommendations in my in-depth article about the best razors for sensitive skin. Men are different and have different needs and preferences. Shaving habits in the context of choosing an electric razor actually has to do with shaving frequency. So how does frequency affect the type of razor you need? Generally, the longer the hair, the more difficult it is for the razor to capture it. Entry level shavers tend to leave stray hairs behind or even pull on longer hairs. A more advanced razor is likely to be better at dealing with longer or flat lying hairs than a basic one. 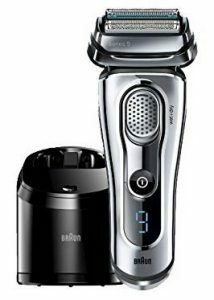 Rotary razors like the Philips Norelco 8900 are suitable for men who shaver irregularly; there are also foil shavers like Braun Series 9 or Series 7 that are quite good at shaving a two days beard. Things get better for daily shaving. Short stubble tends to stay upright and doesn’t usually cause this type of problems; even basic electric razors like the Braun Series 3 or Norelco 4100 should get the job done smoothly. Granted, the actual shaving will take longer than in the case of a more powerful razor, but given the price it is a fair compromise. What’s the Best Electric Shaver for Beginners? What’s the Best Electric Shaver in 2016? What’s the Best Electric Shaver for Black Men? Applying too much pressure. The razor must do pretty much all the work for you, so you should only use little pressure and let it do the rest. If you constantly have to press harder to compensate for poor results, it’s probably time to replace the blades or to get a better razor. Taking a shower or washing your face before a dry shave. Remember, dry shaving gets you the best results when your face and razor are bone dry. Not using a pre shave lotion or powder. These products will improve the closeness and comfort of your shave; moreover, they’re inexpensive and readily available. Not lubricating your razor regularly. Heat is your enemy when it comes to electric shaving, so minimizing the heat generated by the friction of the blades and foil is very important. If you’re not using a cleaning station, lubricate your razor with one or two drops of fine machine oil at least twice a week. This will also prolong their life. Not changing dull blades and worn foils. This one is pretty obvious; failing to change these parts when it’s due will negatively impact the performance of your razor. You’ll be tempted to press harder and do unnecessary passes, resulting and longer shaving times and irritation. Always change the blades according to the user’s manual or even sooner if necessary. Using too much shaving cream. If you’re using your electric shaver with cream or gel to improve your results, using too much will have quite the opposite effect. Only use a thin layer to cover your stubble; I also found that a more watery consistency of the lather seems to work better. Also, using lots of lather will only smear it across the skin and you won’t be able to see what you’re doing. A very thin layer is definitely the way to go. Not trimming your facial hair when you haven’t shaved in a long time. If your beard is very long, definitely use a trimmer beforehand. Skipping a post-shave treatment. A hydrating, soothing after-shave balm is still highly recommended with electric shavers. Avoid the ones that contain alcohol, they just sting and dry your skin. Not cleaning your razor after every use. Besides poor performance and faster wear of the blades and foil, the hair, skin and dirt buildups are a surefire way to infections. 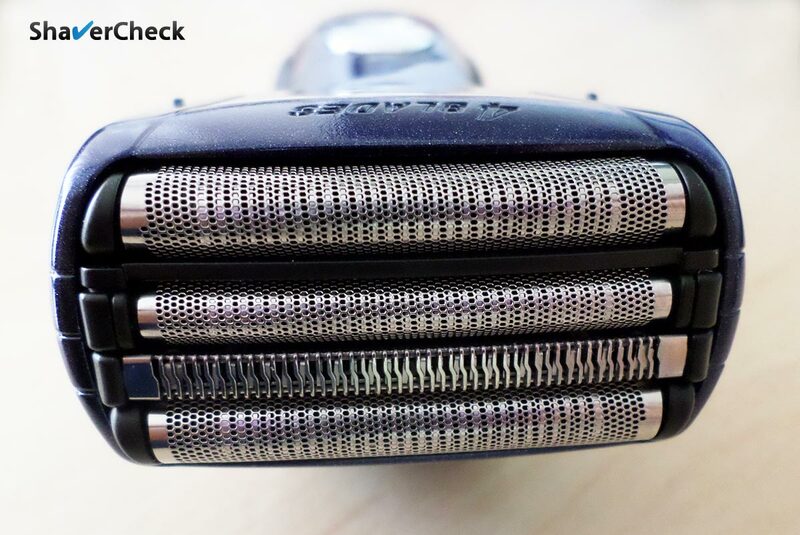 Always clean your shaver after every use according to the manufacturer’s recommendations. Most of today’s electric shavers can be safely and easily cleaned under running warm water. Not using a razor that’s up to the task. Sometimes even the most thorough prep work and perfect technique can’t compensate the handicap of a razor that’s not right for the job. Not charging your razor. Not all electric shavers are able to maintain peak performance of the motor when the battery charge drops below a certain threshold. In my experience even the ones marketed specifically to do just that (Panasonic’s linear motors for example) failed in practice. A drop in power is usually associated with poor performance and discomfort; the razor can snag on the hairs and more passes are required for a clean shave. To summarize, make sure the razor is properly charged before shaving. 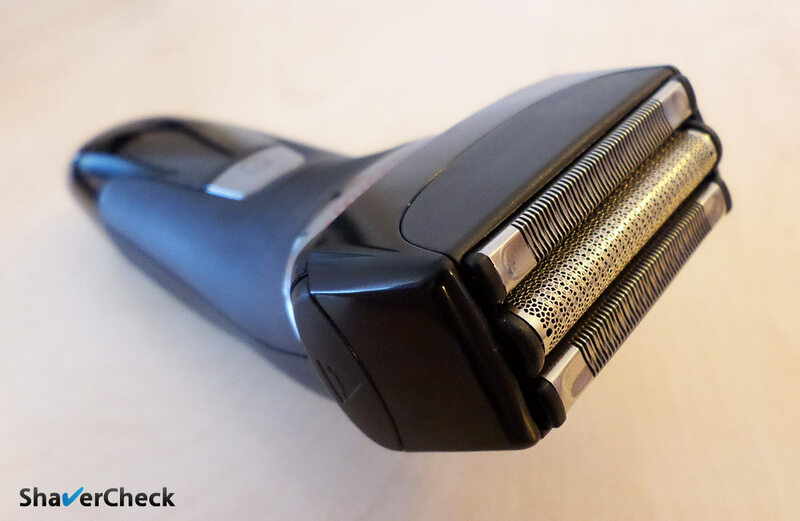 Apart from the aspects that we addressed in the previous sections, purchase price and running costs should also be on your check list when deciding to buy an electric razor. Having gone through all the spectrum of options when it comes to shaving, I had the chance (or misfortune) to also get a feel of the costs involved. These options included traditional wet shaving (using safety razors and shaving brushes), wet shaving with multi-blade cartridge razors and canned foam and, lastly, electric shavers. Trying to encompass all the aspects of running costs and presenting them in a relevant and objective manner is extremely difficult. And that’s mainly because my shaving habits and needs will differ greatly from someone else’s. Therefore, what follows next will reflect what I consider to be average costs that are relevant for most men. For the majority of men, electric shaving will be the most economical of all the methods. Despite a higher initial investments, a quality electric razor generally implies low running costs. And generally is key here. Most men shave dry, meaning less costs with shaving creams, brushes and so on. Also, many of us won’t be using a cleaning station, which again will lead to a lower purchase price and significant savings in the future (no cleaning cartridges required). On the other end of the spectrum, high end razors like the crazy expensive Panasonic ES-LV9N that require pricey parts or cleaning solution will quickly make the running costs skyrocket. Most of us will go for a more reasonably priced, but also capable electric shaver. With electric shaving, running costs mostly come down to replacement parts and cleaning cartridges. 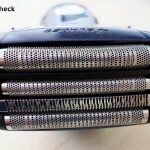 Given proper care, a good electric shaver will function for many years. During this time, you should regularly replace the blades and foil. The cost for these parts usually varies between 20 and 50 dollars, while the frequency depends on the type of your razor, the coarseness of your facial hair and how often you shave. For example, Braun recommends changing the foil and blades (cassette) once every 18 months, while Remington shavers require new parts once every 6 months. Depending on the factors above, you may have to change them more often. Or less frequently. Other items — shaving creams, pre-shave products, after-shave balms — are optional and generally won’t increase the annual costs by much. Mass market shaving costs are the highest. This is actually no surprise as multi-blade cartridges are very expensive and they only last for a few shaves. With that said, traditional wet shaving can also be a very economical option as long as you only stick to what you need in terms of creams, soaps, brushes, razors, blades, mugs and so on. But most wet shaving enthusiasts won’t, and the costs are usually higher than in the case of electric shaving. Conclusion: Yes, electric shaving can be very economical and for the majority of men it actually is. 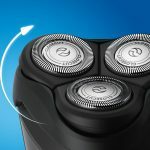 As I said in the previous section, the initial investment of actually buying an electric shaver can be pretty high, depending on your needs for a more or less advanced product. And since top of the line shavers can cost in excess of $400, you’ll probably want to have it for as long as possible. Thoroughly clean the razor after every use. Also, allow it to completely air dry before putting the shaving head back together (provided you are not using a cleaning station). Lubricate the foil and blades regularly. More often if you clean the shaver with water and soap. Replace worn out foils and dull blades. Foils are very sensitive and can be easily damaged by mechanical shocks, so always handle them with care. Even using the supplied cleaning brush directly on the foil can cause serious damage. Prolong the battery life by discharging it completely once a month. Don’t use your electric shaver for stuff outside its scope. As an example, a dry only shaver should never be used in the shower or with shaving cream. And that’s pretty much it; nothing magical or fancy, just basic, common-sense adjustments that will have a great impact on the life of your razor. So far I’ve covered the importance of getting the right shaver and how to narrow down your options. Next, let’s see how you can also save some money. The problem is twofold: purchase price and running costs. We’ve seen that an electric razor can be very cost effective despite a high initial investment. If we can reduce this investment, that’s even better. Considering that you have done your research and settled on a particular razor that will suit you the best, the next step would be to look for similar razors from the same brand. Many times a manufacturer will have a line of shavers that are almost identical in terms of performance, but will vary greatly as far as price goes. 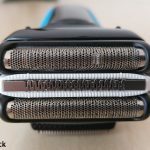 The goal here is to find an electric shaver that is more affordable, but will perform similar to the one you’ve decided upon. For example, a razor that is replaced by an updated version can be found at a much lower price. If the new one doesn’t bring much to the table compared to the one it replaces, then the choice is pretty clear here. As an example, let’s take Braun Series 3. The refreshed line is merely a visual update, so the razors from the older generation are still a solid option if you can find them at a more affordable price. Keep in mind however that replacement blades and foils for discontinued shavers will be difficult to find as time goes by; luckily, the new Series 3 in our example uses the same shaving head as the old one, so in this particular case you’ll be just fine. Look for shavers with the same MSRP on the manufacturer’s website; usually the suggested retail price is a pretty clear indicator of the features and performance of a razor. 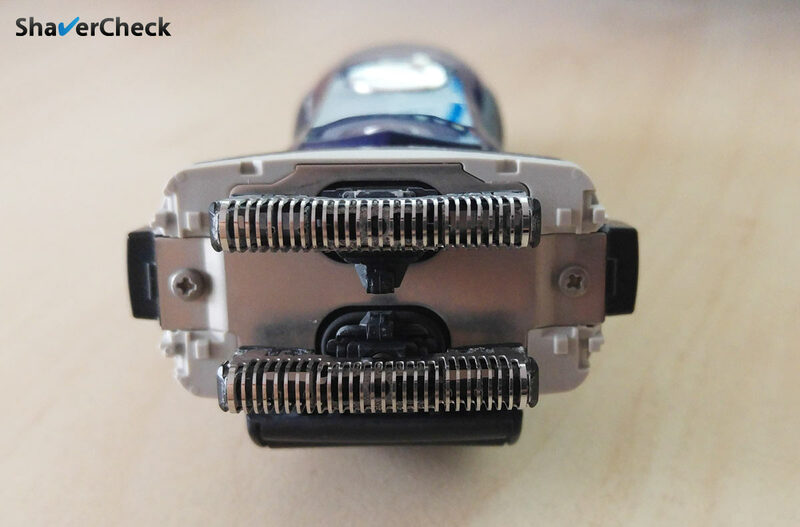 Look for razors with the same replacement parts; two razors that use the same shaving head will likely perform the same. Just buy the one you can find cheaper. As an example, we have the above mentioned Series 3 from Braun or Panasonic’s Arc 3 line that has seen quite a few new models between 2011 and 2015, but the performance has remained pretty much the same. Regarding the running costs, it’s always a good idea to check the price of the replacement parts before taking the plunge and buying a particular razor. The availability and how often the parts need to be replaced should also be taken into consideration. For a more detailed overview with real examples, check out my article on buying electric shavers the smart way. If you’ve managed to read this far, please allow me to thank you for taking the time to go through this rather lengthy electric shaving guide. If I were to summarize everything in just one piece of advice, it would be something along these lines: ignore the hype, choose what is right for you and get the basics right. These are, in my humble opinion, the key aspects to significantly improve your shaving experience with an electric razor. If you found this article useful, please share it, subscribe to the newsletter and let me know your thoughts in the comments below. how do you lubricate the shaver? Please refer to this guide, it addresses lubrication in great detail. Thank you so much for writing this guide. This is super useful for the first-time electric shaver like me. I have just decided to move away from multi-blades cartridge to foil shaver. All your guides (those links you put in this article) are super useful. Thank you so much for the kind words. I’m glad you found the information useful. That is an excellent question. Cleansing, exfoliating and showering right before shaving is something that was carried over from traditional shaving where it made sense. My recommendation would be to avoid doing these right before a dry shave because it may have a negative impactive on your results. Some users are affected to a far lesser degree and if that’s the case with you, then by all means do it. What I normally recommend is to dry shave without washing your face beforehand, take a shower and then rinse your face with cold water and apply aftershave/moisturizer. I also avoid splashing my face with warm water when showering, that causes some nasty irritation in my case. If your face is very oily, an alcohol-based pre-shave is probably a better option than a cleanse/shower. So I actually skip cleansing/exfoliating my face right before my morning shave (and do it in the evening and the next day since I usually shave every other day). For me this routine works the best and I think it’s the safest approach out there, but definitely not the only one. If you found something that works better for you, that’s great.